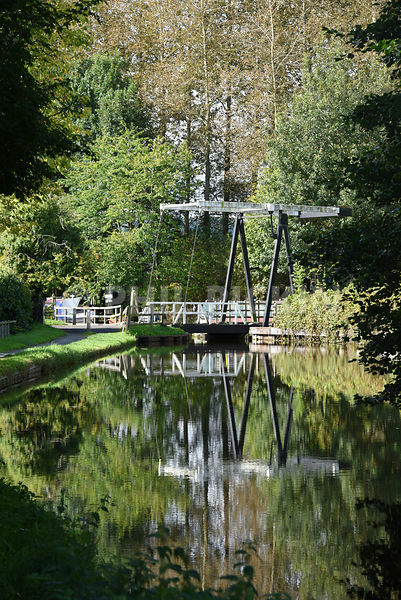 This is a lift bridge over the Montgomery Canal close to Maesbury Marsh in Shropshire. The is bridge number is 81 and it's on the Montgomery Canal. It's official name is the Crofts Mill Lift Bridge and it's a great piece of engineering heritage. It was good to visit it on a quiet day with hardly any ripples in the water so I almost got a clear reflection. One of those ordinary shots I quite like.